After an extended break it’s time for another installment of the Noble Grape Challenge. Last time we explored what Cabernet Sauvignon was all about, and today we’ll get to know Syrah/Shiraz. Remember the Noble Grape Challenge? Yeah, I kind of forgot about it too. Let me refresh you on what’s going on here – Wine Folly created the Noble Grape Challenge as a way to learn the spectrum of flavours and characteristics found in red and white wines. Taking nine reds and nine whites and going through them from lightest to darkest, we’ll learn about the key characteristics and flavours of each. A friend of mine recently asked me for a list of red wines between $10 and $15 that could be good go-to wines. I told her I’d get going on that list immediately, and then I had a thought – far be it for me to keep this list of wine goodness from the rest of my fellow wine lovers. So here it is! A tidy list that you can take to your local wine shop. Pick away! And let me know what you think of them. There are, of course, many many wines that could have made it on the list that I didn’t include. My palate tends to skew more toward the intense, fuller body end of the spectrum, and this list reflects that. Some regions and types of wine can command a higher price point than others – reds from Bordeaux, California Cabernet, Australian Shiraz, for example. In the interests of affordability these wines didn’t make the cut. I’ve tasted all of these wines, so I am personally vouching for them here. Don’t like them? I’m interested! Let’s talk. Every so often (very often, if I’m being honest with you) I try a new wine and think – why am I not writing tasting notes? Writing tasting notes is a great way for me to explore what the heck I’m drinking and help myself figure out whether I like what’s in my glass or not. So I’ve decided to start writing more notes and, of course, I thought you might be interested. Friends, I’ve started an email list! Sign up to receive monthly re-caps of these posts as well as other interesting wine-related links. If, like me, you tend to find yourself on websites devoted to food and wine, you might have noticed a new trend popping up for the winter months: red wine hot chocolate. Yes, you read that correctly. Red wine and hot chocolate, together! What could be better, right?? To be honest, I’m a little skeptical. A lot skeptical actually. I love wine, and I also enjoy the occasional cup of hot chocolate (I refuse to call it ‘ho-cho’), but I just can’t see the two working together. In the words of one of the commenters weighing in on this idea, “This sounds revolting!”. Coconutlime, I think I agree with you. However, a friend tweeted me about this odd concoction recently so I thought – what the hell? This is why I have a blog, right? To push myself and try new things? So here I go, trying this disgusting-looking thing. For YOU, dear reader. I hope you enjoy. Now that American Thanksgiving is over it feels like we’re fully into the holiday season, which means it’s time to talk gifts. I know, I know – it can be hard to come up with good gift ideas! I always try to find something thoughtful while also not breaking my meagre bank account – sometimes easier said than done. So, in the spirit of giving those you love gifts they’ll love, here are some gift ideas for the wino in your life. I like to take any opportunity available to enjoy a special bottle, and the holidays are definitely a good excuse to do just that. 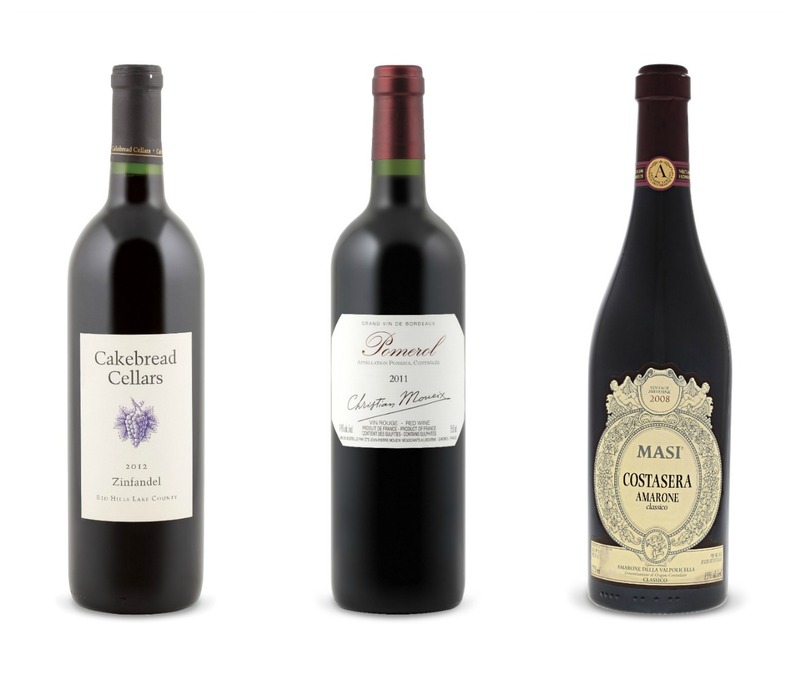 Here are six special bottles that are sure to impress. Let’s start with some reds, shall we? I know what you’re thinking, “a Zinfandel?? Like Wild Vines? No thank you!”. Well! First, let me tell you that Wild Vines doesn’t even count as wine and why are we even talking about that gross poser wine? Cakebread is an incredibly delicious winery out of California that is out of my personal price range for the everyday, which makes it a great splurge for the holidays. This Zin will be big and full-bodied – and California is known for creating great ones. Pomerol is a mainstay Appellation of the Bordeaux region of France. Wine makers in this area use mostly Merlot grapes with some Cabernet Sauvignon and Cabernet Franc. 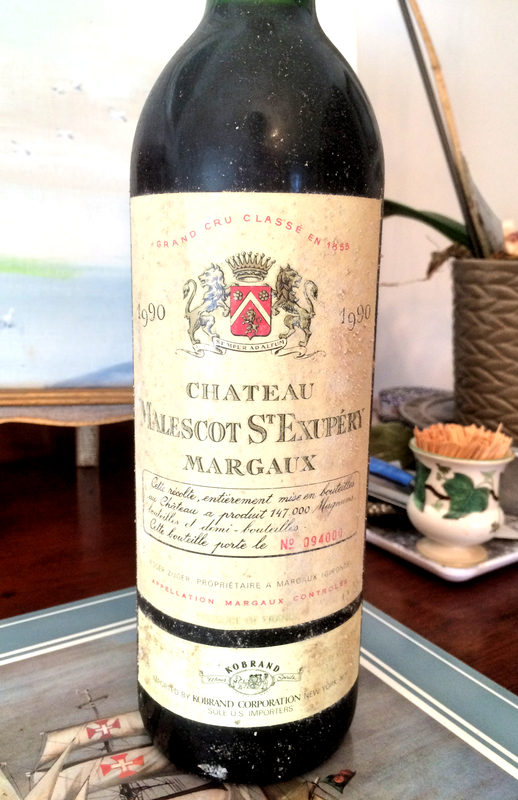 This particular wine is a common occurrence in the Vintages sections of LCBOs and would be great to open when given or to be saved for a few years, depending on whether the wino in your life enjoys cellaring. Now, the Amarone. Amarones are Italian wonders – big, full bodies, ripe red fruit flavours and a nice strong finish. The grapes for an Amarone wine are allowed to partially dry out before making them into wine, which concentrates the flavours into something really wonderful. If your wino likes Italian wine they will surely appreciate this one, especially since Masi is a reputable maker. The Cave Spring Late Harvest Riesling is something special. These grapes are harvested between the regular harvest for Cave Spring’s other Rieslings (which are wonderful) and the ones harvested for their icewine. This means they’re slightly sweet but not so much so that they venture into super sweet icewine territory. This would be a great wine for the wino in your life who, like me, doesn’t have a huge sweet tooth but still wants to enjoy something special. You didn’t think I was going to leave icewines out, did you? I live too close to Niagara (with its world renowned icewine production) to do that. Strewn is one of many wineries in Niagara making icewine and this one is made with Vidal grapes, a common icewine varietal. It’s sweet of course, and has some citrus flavours going on as well as apricot and mango. The LCBO suggests serving it with blue cheese, which sounds heavenly. 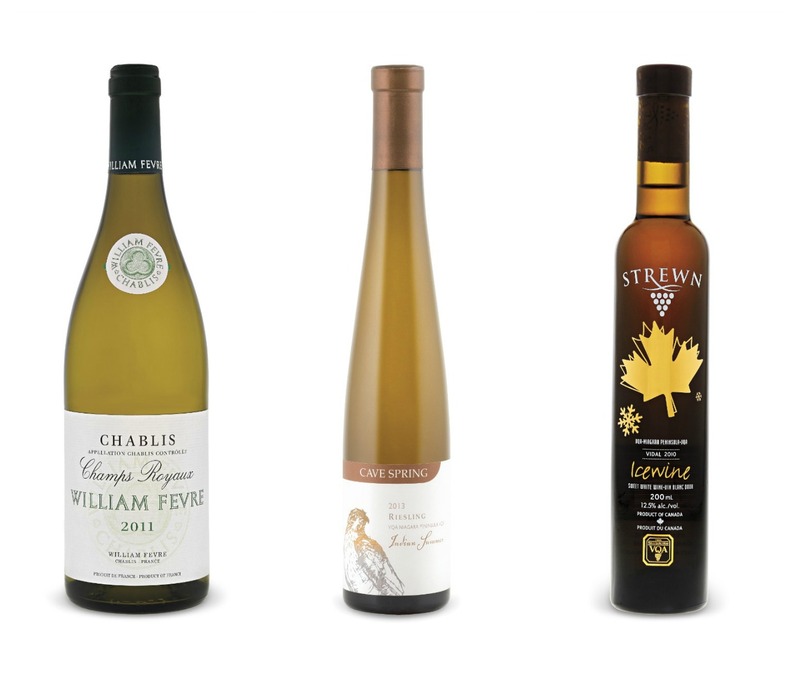 If you don’t feel super comfortable wandering the aisles of the LCBO (or worse, the Vintages section) then here are some wine-related gift ideas. And, for your shopping pleasure, they’re all available on Amazon. 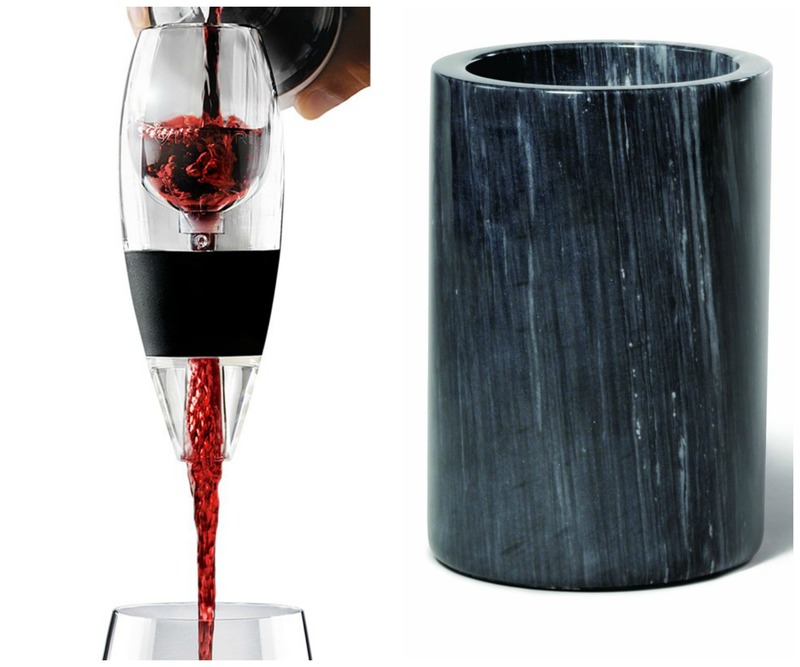 Every wino should have a good corkscrew, and this one fits the bill. Note the double hinge and ergonomic handle – key features for any good ‘screw! If the worm has five loops, even better. 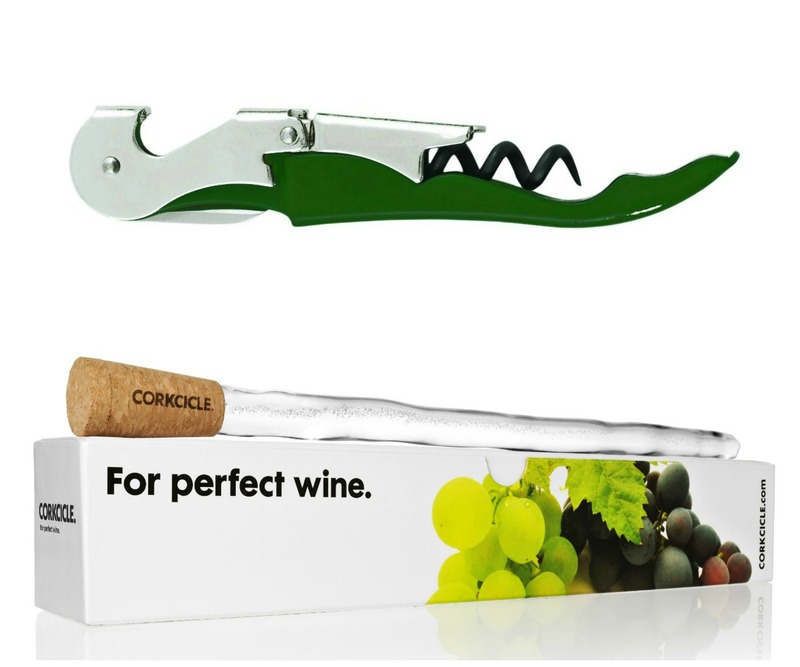 The Corksicle is a wine accessory that I just love. Put it in the freezer and then, when you’re enjoying some bubbly or white or rosé you pop the Corksicle in the bottle, keeping the wine cool in more way than one (see what I did there?). If your wino likes cold wine this is a must-have. This aerator is super handy, especially when you’re not drinking an entire bottle and therefore don’t want to use a decanter. Since I’m still learning I love tasting wine on its own and then through the aerator to get a sense for how oxygen changes a wine. Again, this accessory is great for winos who like their wine cold. Just put this marble cylinder in the freezer an hour or so before opening the wine, and then use pop the bottle in, keeping your wine cold while enjoying it. I would love one of these for hot summer days. If your wino is the type that has everything or is a minimalist at heart, then consider giving them a wine experience instead of more wine stuff. If you live in Ontario I heartily recommend the Niagara Icewine Festival, which conveniently runs in January. If you’re somehow already booked up for early 2016 then check out these events at wineries throughout Ontario. Or, you know, there’s always France. I picked up some new things at the LCBO this weekend and, of course, wanted to share them with you. Here’s what I got. I’m on a big Portuguese wine kick lately. I love the full bodies, the juicy yet grounded flavours and, best of all, the great value. I plan to enjoy as many delicious wines until the LCBO prices them out of my snack bracket. The LCBO says this wine is opaque ruby/purple colour with aromas of blackcurrant, black licorice, spice and toast as well as black currant, anise, dark chocolate, spice and plum flavours. Clearly a lot going on! If I can taste half that I’ll be laughing. This puppy is a lovely little Merlot if you’re looking for a smooth, easy drinking wine. Les Jamelles also makes a decent Cabernet Sauvignon, but I chose the Merlot because I’m planning to mull this wine (post coming shortly!) and wanted something easy to drink and middle of the road in terms of body, tannin and general intensity. The LCBO describes this wine as deep ruby in colour with dark fruit aromas including black berries, currants and cherries – works for me! Yes, you read that right, this wine is from 2015! Talk about young. Beaujolais Nouveau wines are like mirages, there one minute and gone the next. The wine is fermented quickly and released just weeks after harvesting. The Beaujolais region in France has a festival around the release of the Nouveau wines every year, and lots of importers (LCBO included) tend to make an occasion of their release too. This past Thursday was Beaujolais Nouveau Day so I picked this guy up to celebrate. As an aside, it’s interesting to see the differences in the label design of Beaujolais Nouveau wines versus other Old World (and especially French) wines. Beaujolais Nouveau wine labels tend to be much simpler, with lots of white space and bright colours. Maybe they’re trying to emulate the quickness of the process and the youthfulness of the wine on the label? According to the LCBO this wine has a purple colour with aromas of red berry fruit, strawberry, plum and herb and a light earthy, floral/mineral tone. It’s dry, light bodied, and slightly spritzy on the palate. I’m excited to try it! As always, you can follow me on Vivino to see what I think of my new purchases. I picked up some things at my local LCBO this week and, of course, wanted to share it with you. Here’s what I got. Let’s hope I like the wine as much as I like the label. I saw this one recommended by someone in my Twitter feed, though I can’t for the life of me find where exactly. 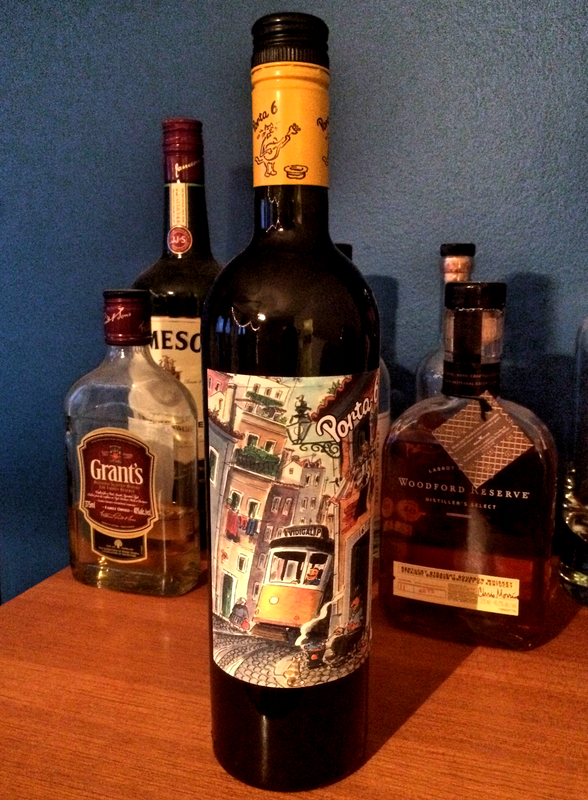 I generally like Portuguese wines and the price was right so I picked it up. I opened it last night and, unfortunately, was disappointed. It tasted like it was trying to pack too much flavour in, it was too tannic for me. A shame, really, but you can’t win ‘em all. At least I’m only out $13. This one is much more of a sure bet. I’ve had Kaiken Malbecs before and always enjoyed them. I started following the winery on Twitter a few days ago and have been craving their wine ever since. 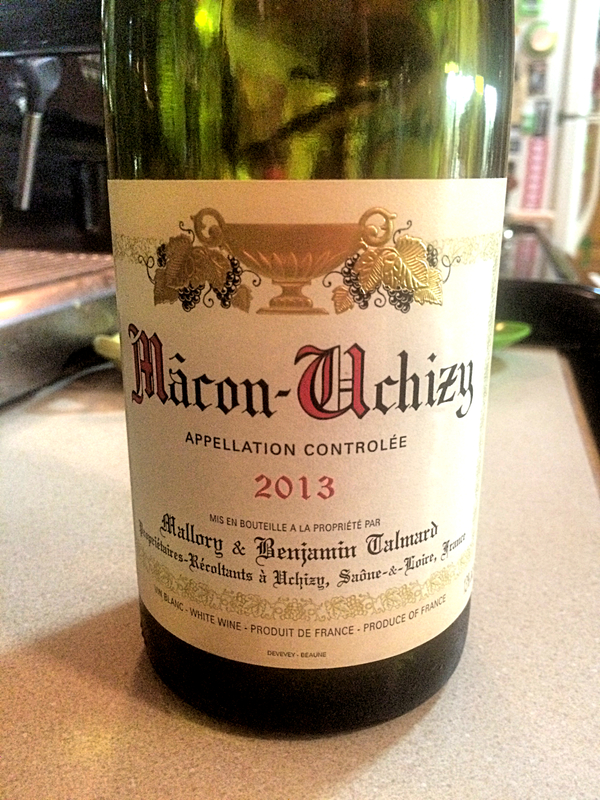 This is a big, warm wine that goes great with the colder weather we’re starting to get. 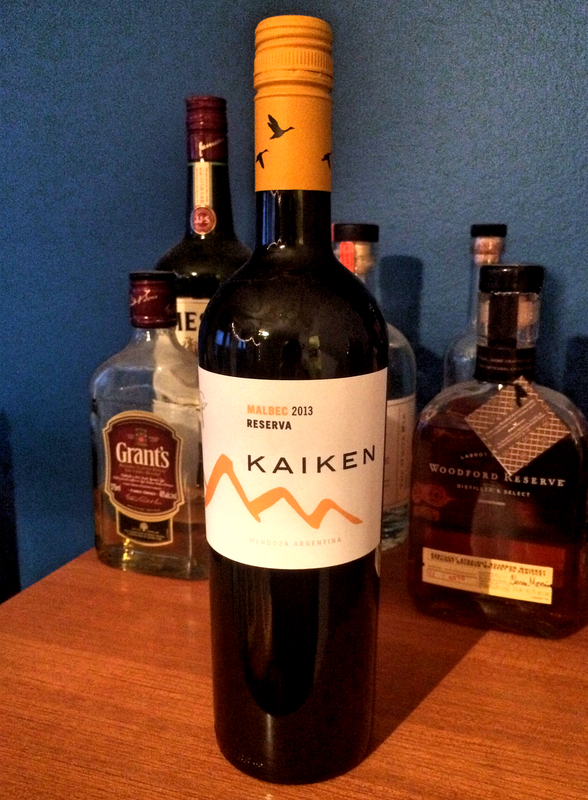 If you’re looking for something new I definitely recommend taking a chance on Kaiken. I see what you did there, GLB. Oh, Great Lakes Brewery. I love you so much, I just can’t help myself. This little beauty is a Belgian-style India Pale Ale. It’s a bit more mellow than other IPAs out there, with a hoppiness that’s more middle-of-the-road than burn-your-face-off. GLB makes great beer and I’m sure this one will be no different. If you like IPAs or Belgian-style beers you should pick this one up. Allow me to introduce you to Left Field Brewery! Left Field is a relatively new brewery based in Toronto. It’s adorably baseball themed, hence the name Eephus, which baseball fans might recognize as the name of a type of pitch. This beer is a lovely little oatmeal brown ale, and is the only Left Field beer available in the LCBO. It’s a mellow beer – creamy and malty and would be lovely to curl up with on the couch. 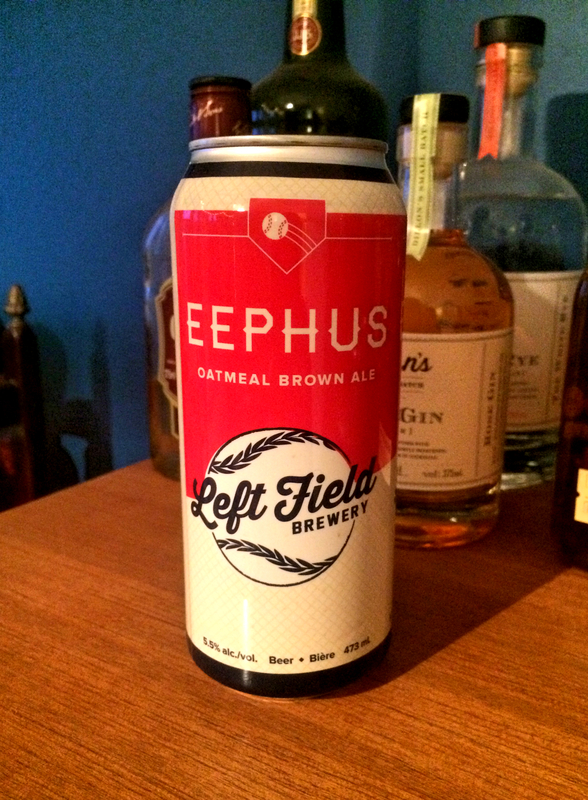 If you’re looking for an easy and approachable brew you should get to know Eephus. As always, you can follow me on Vivino or Untappd to see what I think of my new purchases. Canadian Thanksgiving was last weekend and, as I usually do on long weekends, I went home to Kingston to visit my family and yes, to drink a lot of wine. Either because I come with all these food and wine ideas, or because my parents take my visits as an opportunity to indulge, it ended up being a multi-day food and wine affair. Either way, I’m happy! This year especially I had a lot to be thankful for. It’s been an eventful year, both for my family and for me personally. I’ve struggled to find direction in my career and to feel like I’m making a positive impact on the world around me, which is partially why I started this blog. This year my family has been faced with illness and adversity in a much larger amount than we all wanted or are used to. It’s been a year of struggle but also one of gratitude. Suffice it to say, I now have a fuller appreciation for the good things in life. My own ongoing personal struggles make it all the more sweeter when I visit home, and the holidays are the epitome of that. 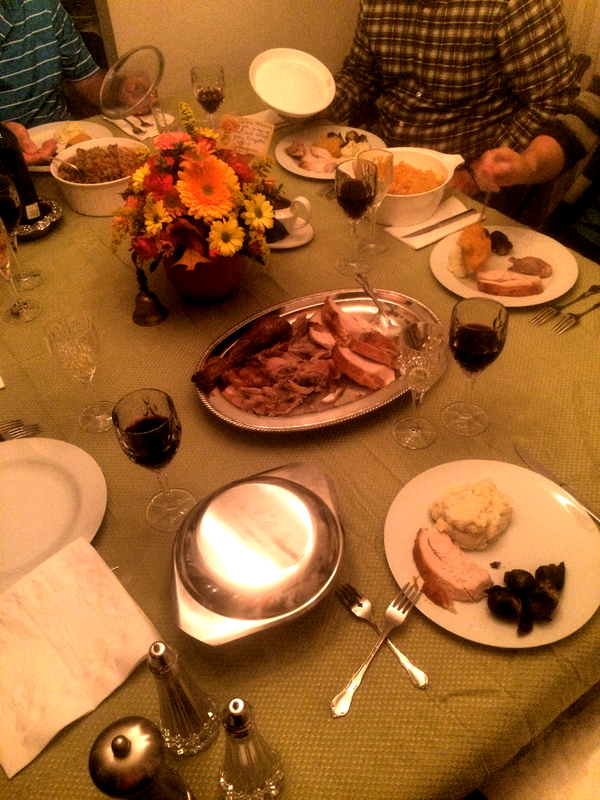 For three days I cooked, relaxed, vegged out to real estate shows on tv and enjoyed the company of my family. It was a wonderful respite from regular life. Of course, wine was also involved – why else would I be talking about it here? Below is a brief recap of some (just some!) of the delicious wines we sampled over the weekend. 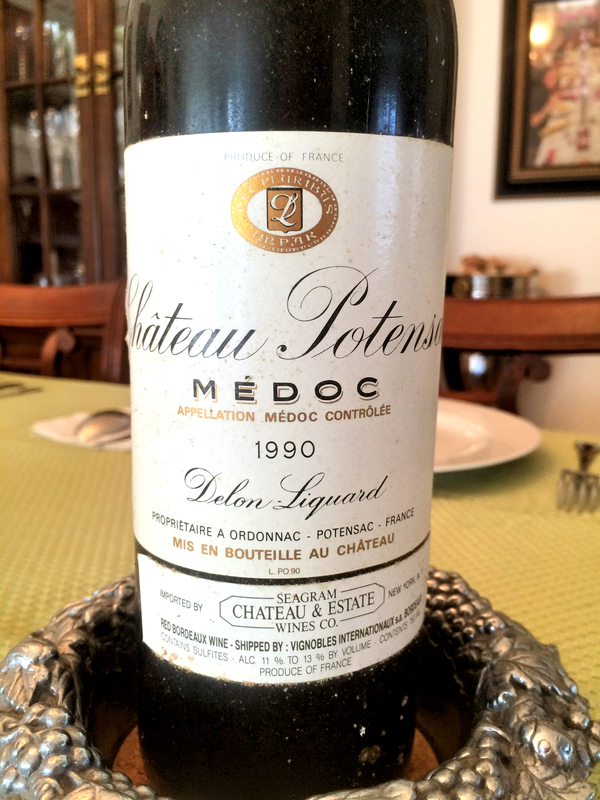 In addition to all the other things I have to be thankful for this time around, I am also grateful for my stepdad’s generosity in sharing these wines – they all came from his cellar. 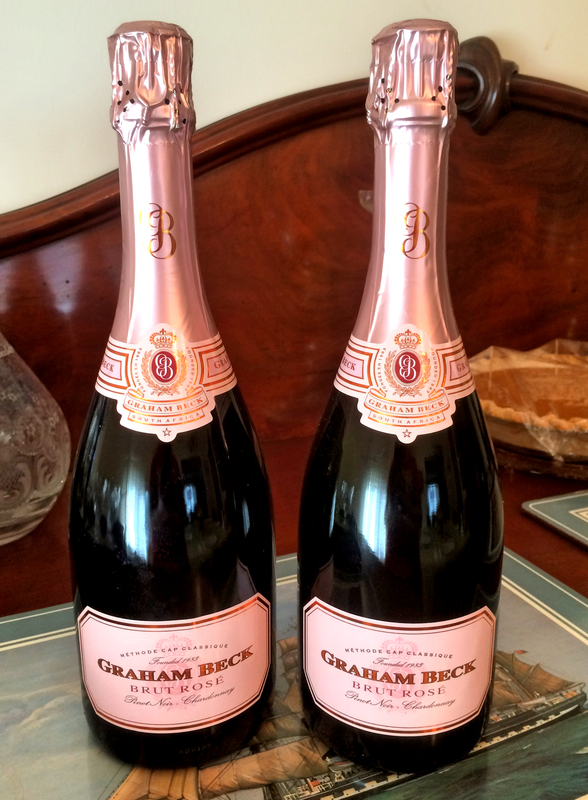 Graham Beck’s sparkling wine is my stepdad’s favourite, and is quickly becoming mine too. It’s from South Africa, which is really not a place that comes to mind when I think of ‘places that make good sparkling wine’, but I’ve had and loved other wines there so it’s not totally outside the realm of possibility. The wine itself is light and dry, with tiny little bubbles that make the wine float around in your mouth. The flavour is subtle and goes with just about any food you can throw at it. We had it with cheese, baguette and (as if that weren’t indulgent enough) some foie gras mousse made with black truffle. Thanksgiving got off to a great start, you guys. This label is so Old World. We had this little gem at the beginning of dinner, with a parsnip, apple and leek soup I made the day before. My stepdad asked me what I thought would go well with the soup and I suggested something that had depth and body, that would stand up to the fullness of the parsnip flavour. He chose this Chardonnay and I think our efforts worked out wonderfully. It’s solid creaminess was a great counterpoint to the earthy sweetness of the soup. Chateau Malescot St. Exupéry. 25 years old, no big deal. It’s just a little dusty – it’s still good, it’s still good. The baby of the red bunch. After the soup it was on to the main event! We had a veritable feast of turkey, garlic mashed potatoes, mashed turnip with carrot, roasted brussels sprouts, and of course, stuffing and gravy. It doesn’t seem like much now that I’m writing it out but believe me, my belly was FULL. The two French wines were amazing. They both came from sub regions of Bordeaux (Margaux and Médoc, to be specific) and, as you can see from the labels, had been resting in the cellar for quite some time. I always get a kick out of thinking of how old I was when an older bottle was created. I was still in single digits when these wines came into the world! Both wines were just lovely. The Potensac had a beautiful ruby colour, a bit of pepper and fruit on the nose and a smooth, slightly peppery and medium-bodied flavour. The Malescot was similarly medium-bodied and so, so smooth, but I tasted a bit of smoke on the finish with this one. Both were a bit mellow (on account of their age) but had retained much of their vim and vigor. It was a huge treat to taste them. 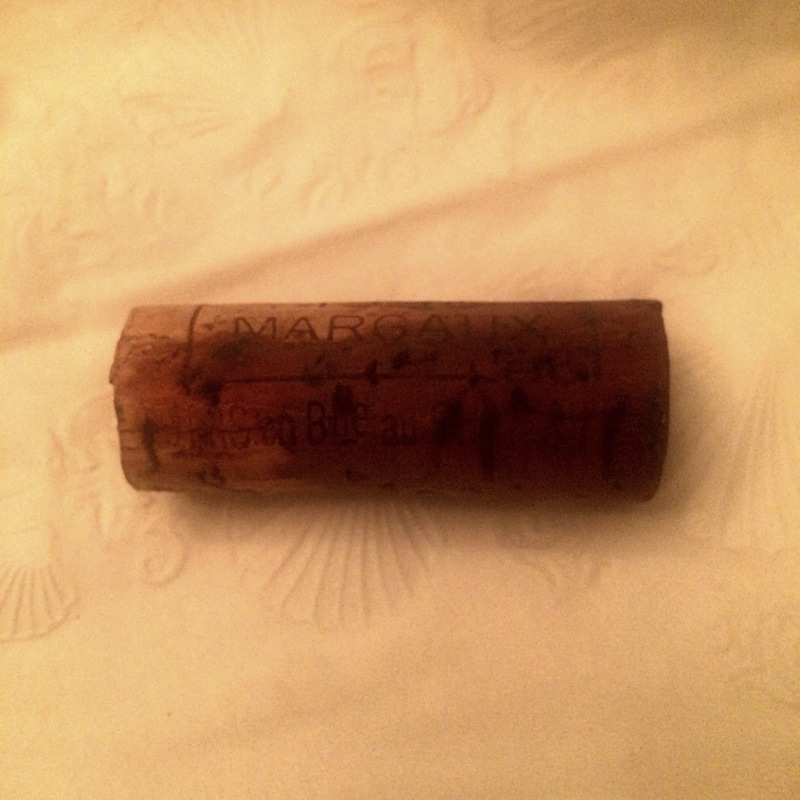 The Chateau Malescot St. Exupéry cork. Good thing we opened it! That wine was slowly but surely making its escape. The third wine came to us from Napa Valley. It was a Meritage, which is a fancy way of saying it’s a blend of Bordeaux-style wines but isn’t actually from Bordeaux. Long story short, Bordeaux (well, most of France, really) is incredibly protective of their wines and winemaking processes and have barred other regions from making the same kinds of wine and calling it ‘Bordeaux’. This is why you’ll see wines made in North America being called ‘Meritage’. 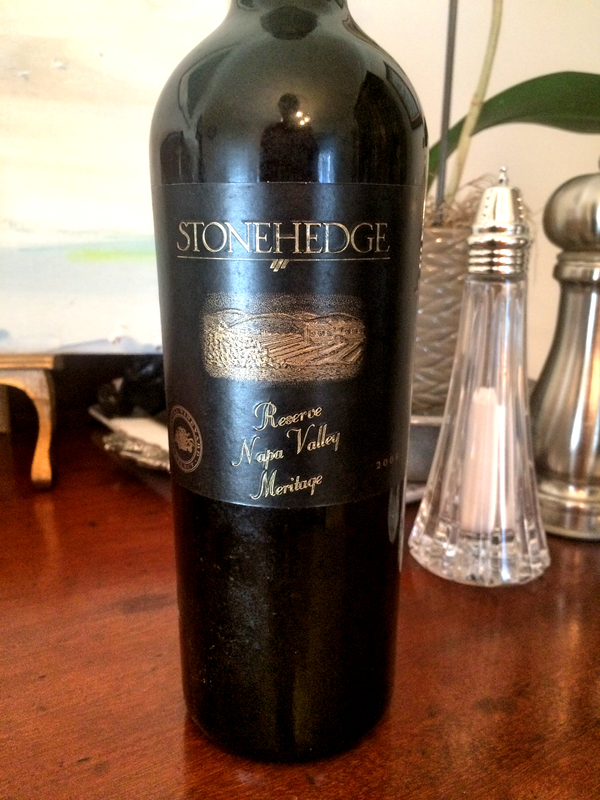 The Stonehedge was also delicious, but I admit that by that point in the evening the wine and tryptophan had gotten to me – I have no notes from this wine. I do remember that it’s body and flavour was in keeping with the other two reds we’d been drinking, which further proves that my stepdad is no slouch when it comes to wine choices. A Thanksgiving for the books, I think. How was yours?